We strive to provide complete nutritional support through the highest quality supplementation. Click here to shop our online store and have your order delivered to your home or business. Our patient forms are available online, so they can be completed in the convenience of your own home or office. Your Sioux Falls Family Chiropractor! Call us at (605) 334-8000 today. For more information or to schedule an appointment with our Sioux Falls family chiropractor, call (605) 334-8000 today! Dr. Eric M. Fahrendorf is a third generation family chiropractor proudly serving his hometown of Sioux Falls and the surrounding communities. 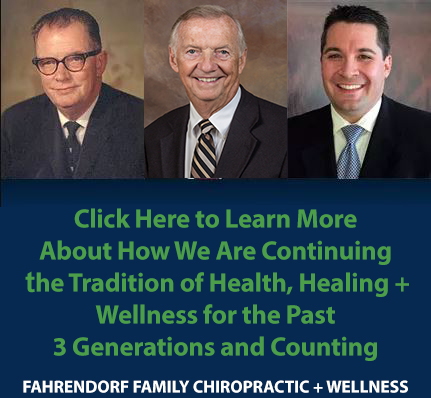 Dr. Fahrendorf and the rest of the welcoming team at Fahrendorf Family Chiropractic + Wellness are committed to providing chiropractic solutions to address your unique needs, whether you are experiencing neck or back pain, headaches, or muscular tightness and tension. 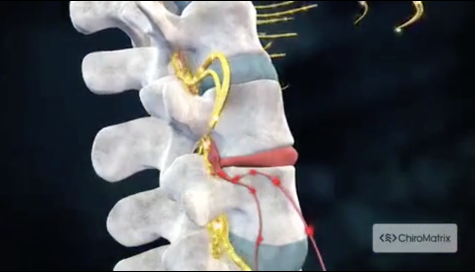 In addition to treating the spine, we are also skilled at assessing and adjusting all upper and lower extremities. We work tirelessly to treat the underlying problem/condition rather than treating the symptom(s). If you are looking to improve your overall health and quality of life, Dr. Fahrendorf can help you attain your everyday wellness goals! Visit our testimonials page to find out what our patients are saying about our Sioux Falls family chiropractor. At your first visit to Fahrendorf Family Chiropractic + Wellness, Dr. Fahrendorf will explain how chiropractic care works, answer any questions or concerns, and provide a full evaluation to see if our chiropractic solutions are a good fit to address your health and wellness needs. If chiropractic care is a good fit, we will move forward with treatment for your specific condition and health goals. If, and when, a patient presents with a chiropractic condition, the only solution is chiropractic care. It's that simple. If you have not been to a chiropractor before and want to find out more, please email us or call (605) 334-8000 to receive the answers to your questions from our experienced team. We also welcome referrals, so we invite you to share our chiropractic and wellness information and story with your family, friends, neighbors, co-workers, and loved ones. If you are happy with your care, please tell others. If not, tell us. We want to know. If you would like to stay informed about the latest in chiropractic care, nutrition, supplements, or if you want to start receiving free articles about health and wellness news, subscribe to our bi-weekly newsletter, even if you are not a patient. We also offer a community content area, which includes wellness articles and other healthcare resources. Lastly, please "like" us on Facebook. We share updates along with interesting and useful articles on our Facebook page. Here at Fahrendorf Family Chiropractic + Wellness, everyone is family to us. We look forward to meeting you, getting to know you, and providing you with a better quality of life. Dr. Eric M. Fahrendorf, D.C.